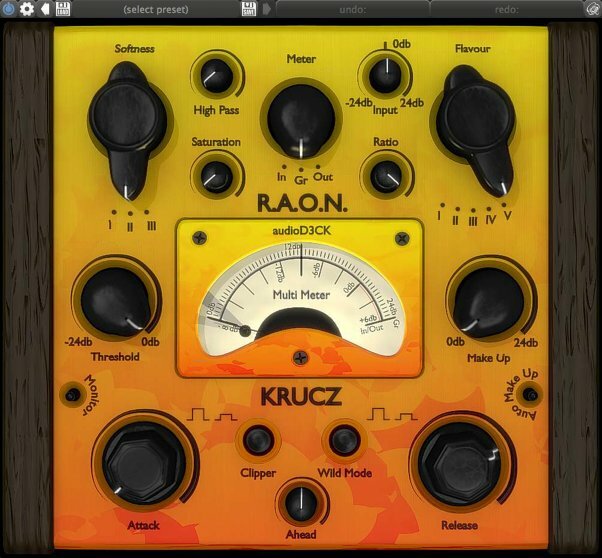 audioD3CK included KRUCZ in our May 2016 goody bag. This maximizer from the R.A.O.N. series is audioD3CK's version of a look ahead maximizer. Great care has been taken to design it as musical as possible. It ranges from clean to totally smashed and will not turn your audio into harsh dirt when driven hard! audioD3CK was founded in 2009 by the experienced DAW enthusiast and software engineer Jan Manuel Schlieper with the intended goal of providing simple solutions for complicated tasks. Rather than reinventing the wheel we focus on improving proven tools to adapt to your needs and workflow.